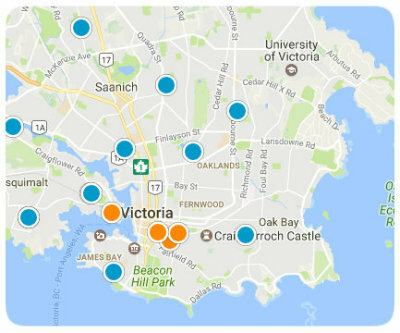 Oak Bay is the most prestigious neighbourhood in Victoria studded with beautiful mansions nestled in pristine gardens. This Seaside neighbourhood boasts natural wonders alongside architectural splendors and if you spend any time here you will quickly know why residents have such pride in their postal code. Featuring Uplands golf course and country club, the world class Oak Bay Marina, kms of beachfronts, as well as shopping, dining, and community activities at the Oak Bay village. It's different here; Oak Bay is luxurious island living!